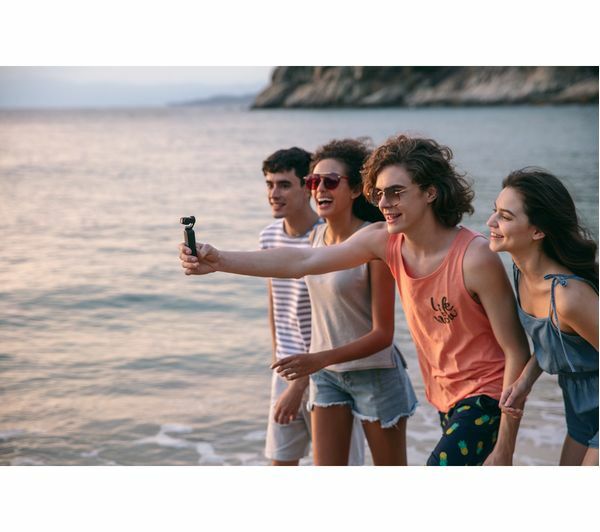 The DJI Osmo Pocket Handheld Camera is truly pocket-sized – pop it in your jacket or bag and bring it along with you on day trips and holidays. 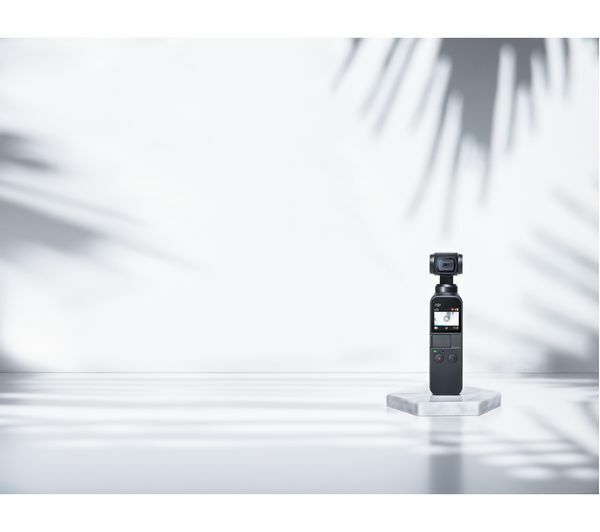 It's small enough to take it with you everywhere, so you'll always be ready to capture those spontaneous moments. 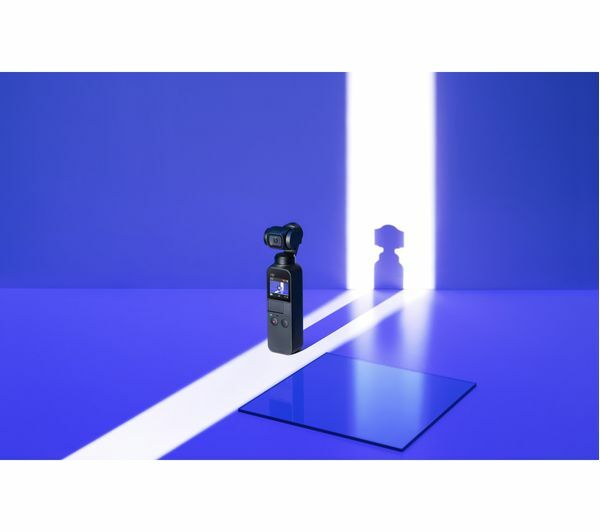 The perfect tool for vlogging and amateur filmmaking, the Osmo Pocket shots 4K footage at a smooth 60 fps. 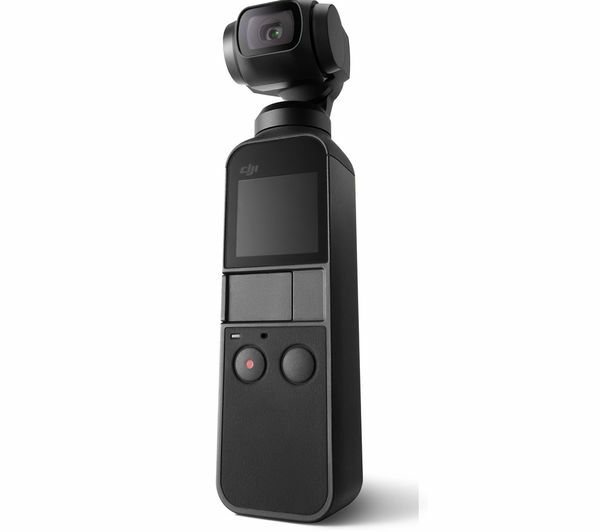 The result is video that's sharp and full of detail. And with a bright f/2.0 aperture, you can carry on filming after dusk falls and on overcast days. Ever wondered how to get those smooth pans and sweeping cinematic shots? 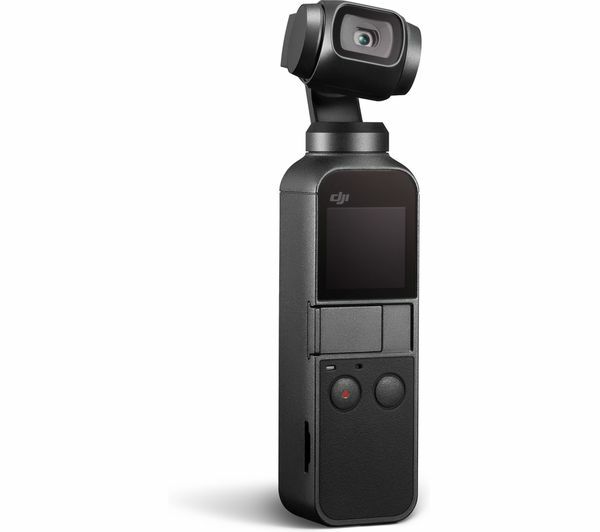 The Osmo Pocket has a 3-axis mechanical gimbal so you can recreate those professional effects straight out the box. 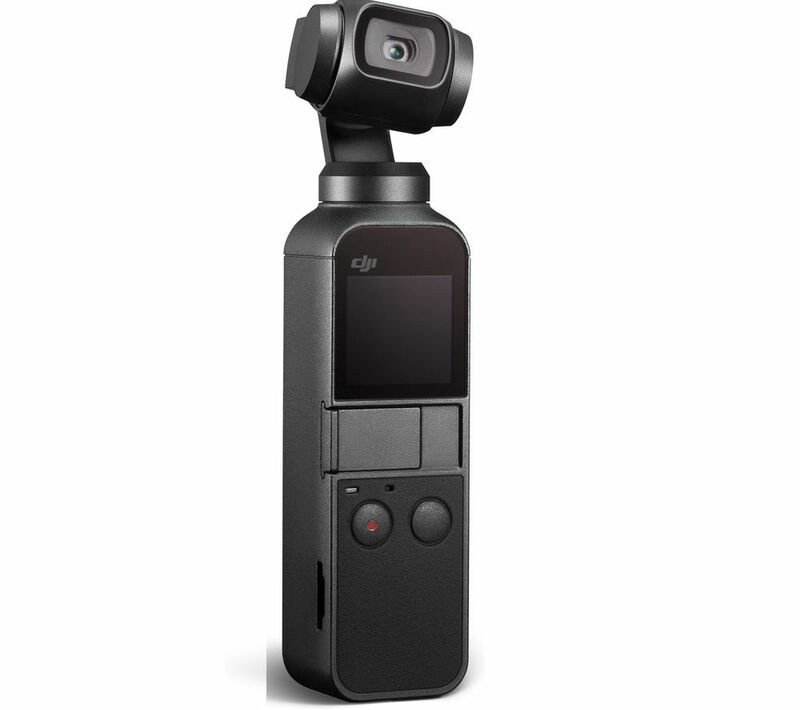 The gimbal not only compensates for handheld camera shake, but makes tracking easy, even if you need to run to keep up. It stays steady as you move, turning trick shots of skateboarders or a stroll along the beach into movie-like scenes. 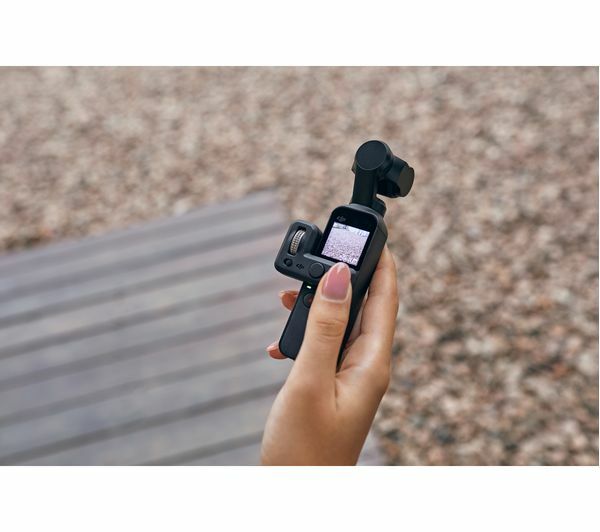 The Osmo Pocket is packed with nifty features to make filming easy. Keep yourself in the frame with FaceTrack. Whether the camera is in your hand while you walk and talk or placed on a table as you move around the room, it'll keep you in the centre. ActiveTrack does the same for other subjects too. Follow a boat as it comes along the river, or keep the focus on a piece of art as you move around it. Simply select your subject and the camera will do the rest. 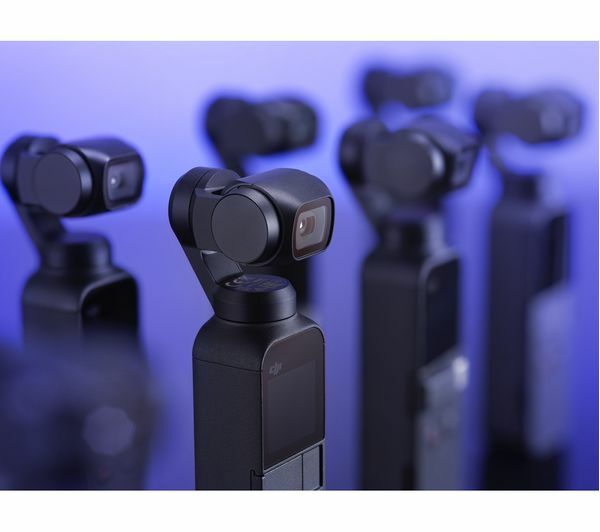 You can show the bustling hub of a city with a Timelapse video, and take it a step further with Motionlapse which adds smooth movement to your video. 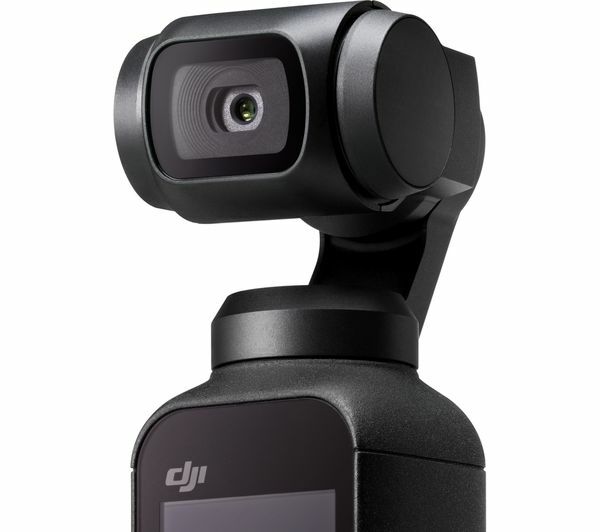 Add some drama to the action with a slow-motion replay, or switch to FPV to share your perspective. 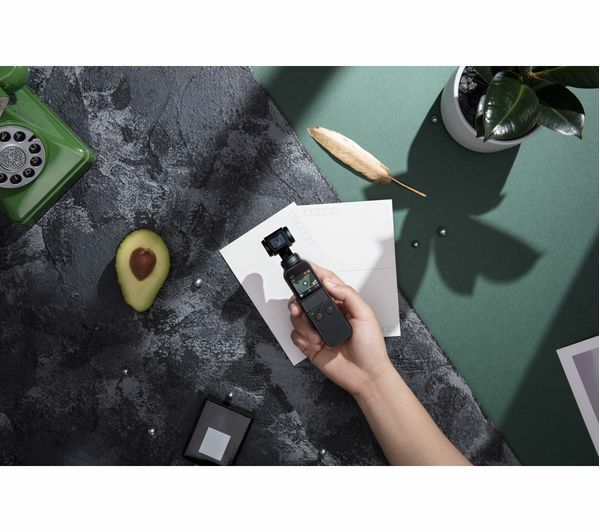 You can use the Osmo Pocket with or without your smartphone. Change settings and switch modes with just a few swipes and taps on the touchscreen. 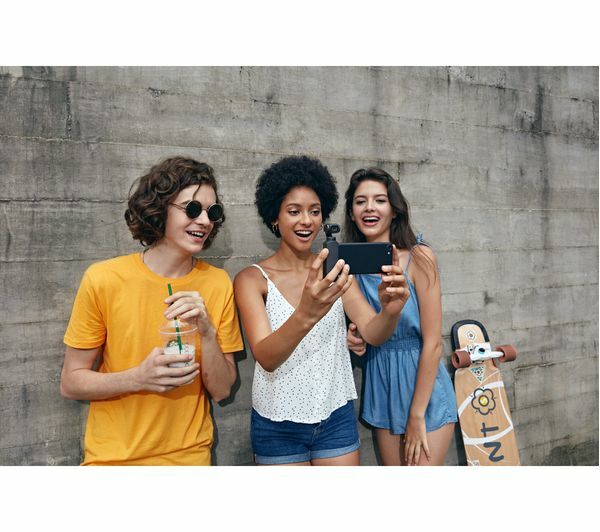 Alternatively, the DJI Mimo app lets you shoot, edit, and share straight from your smartphone. 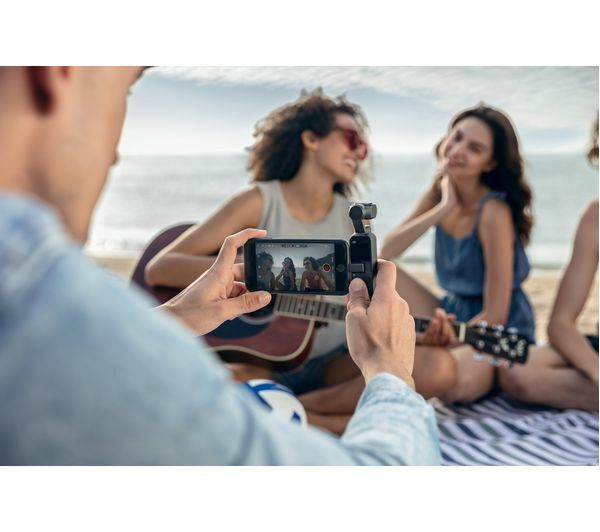 Add filters, music, and more without visiting your PC editing suite – perfect for when you're out or simply can't wait to share. We recommend using a UHS Speed Class 3 memory card as it offers the speed you need for capturing 4K Ultra HD footage. Keep your new gear protected with a travel-friendly case or bag which will also hold your daily essentials. Small enough to pop into a pocket. Starts up within a few seconds so you can catch those unmissable moments. Nothing I don't like about it.